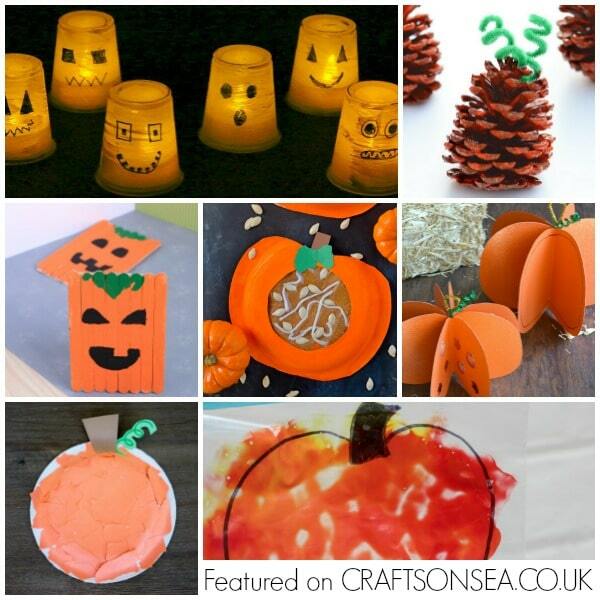 Because I’m sharing both the spooky and non spooky kind of pumpkin crafts I’ve split it into two categories to make it a bit easier to find the right craft for you and your kids – Autumnal Pumpkin Crafts For Kids and Jack O’Lantern Crafts for Kids. 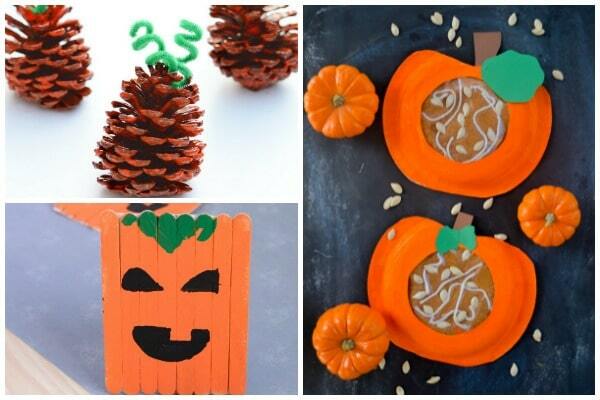 In both cases you’ll find lots of awesome ideas, hopefully enough to keep you going throughout the season! 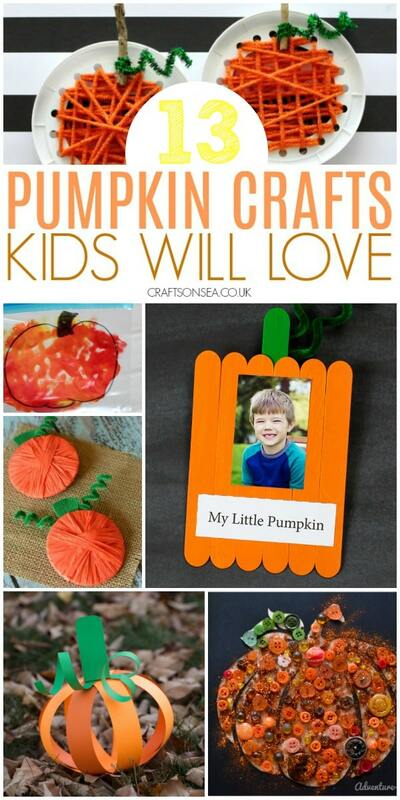 All of the pumpkin crafts for kids that I’m sharing today appear in the same order that you’ll find them in the collages below. 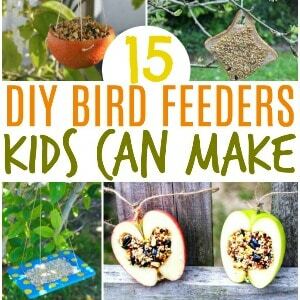 Want to make sure that you don’t forget any of these ideas? Make sure to bookmark this page or pin an image so you have all this inspiration to hand when you need it. 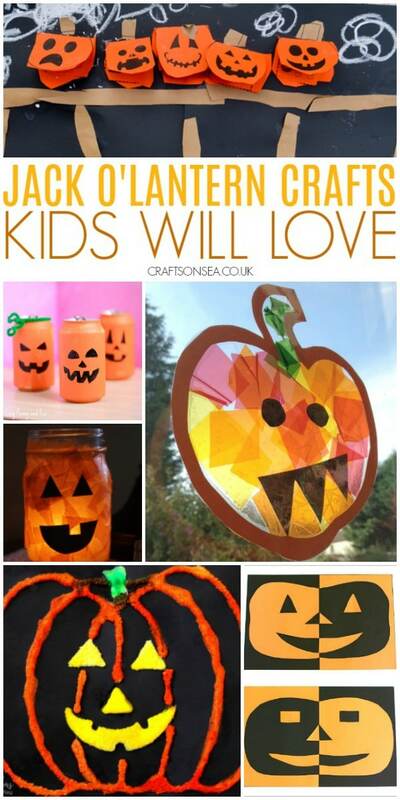 Stained glass pumpkin suncatcher from Crafts on Sea – this is one of my kids favourites and you can watch the video tutorial for this below! 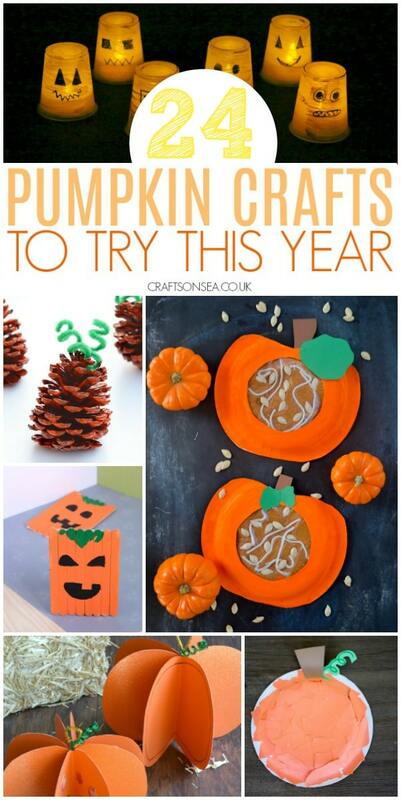 Want some more inspiration? 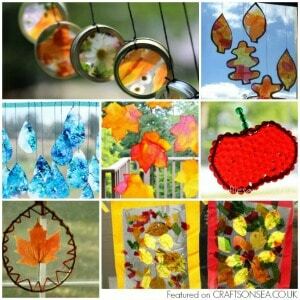 We love these pretty autumn suncatchers kids can make. 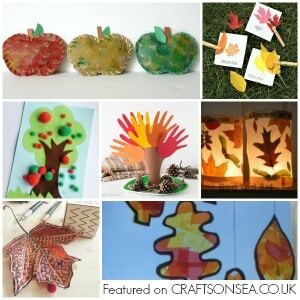 Or how about these autumn activities for preschoolers with over 45 fun ideas.